Lyubomir A. Zdravkov was born in 1974 in Svistov, Bulgaria. He is graduated from University of Architecture, Civil Engineering and Geodesy (UACEG), Sofia, in 1999. He is civil engineer and M. Sc. The subject of his study is "Industrial and civil building". Lyubomir A. Zdravkov has science interest in field of aboveground steel tanks. He is PhD in field of Structural Engineering. The thesis of his PhD is "Increasing of security of AST that are in service". The author has science researches and publications in field of steel structures, focused on aboveground steel tanks, that are subject of professional interest. He combines theoretical knowledge with practical techniques and skills as a designer. 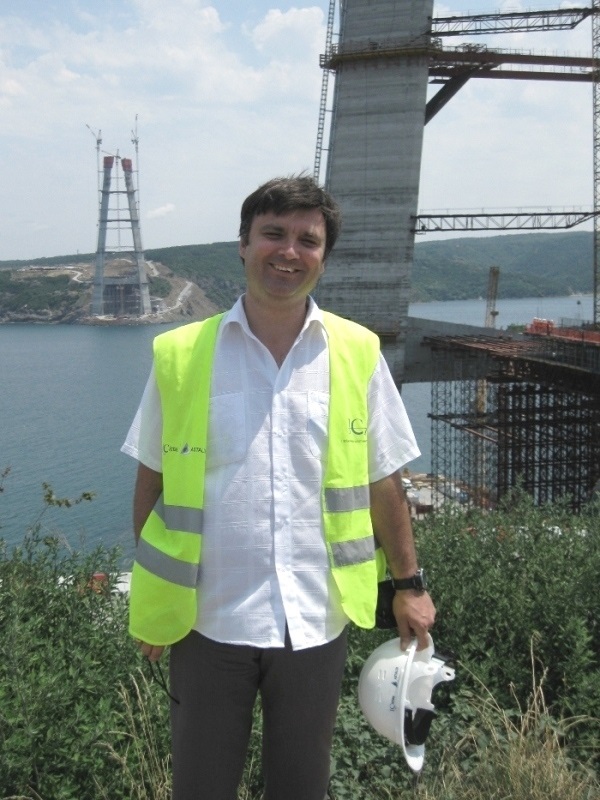 At the present moment Dr. L. Zdravkov is associate professor in department "Steel and timber structures" in Faculty of Civil Engineering of UACEG, Sofia. To keep his design level, the author works as Structural engineer and designs steel structures.